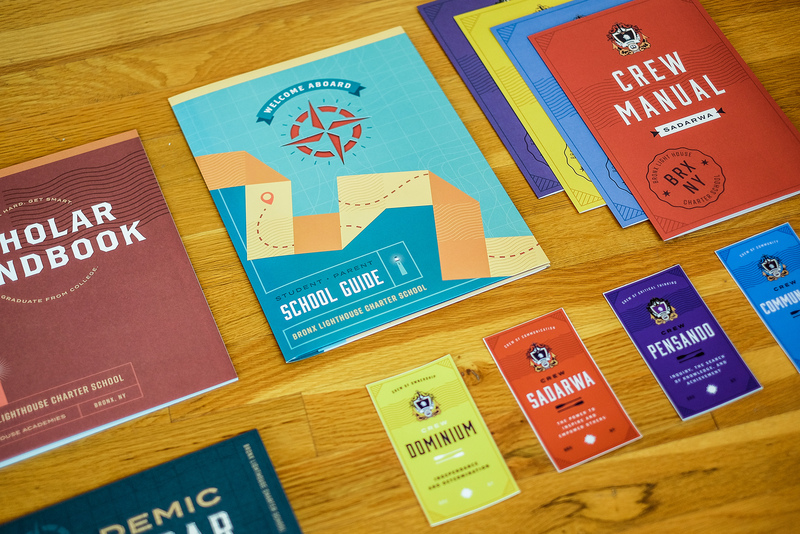 This creative Charter School in the Bronx, New York City reached out to us with a challenge that a lot of institutions face: "packet blindness". 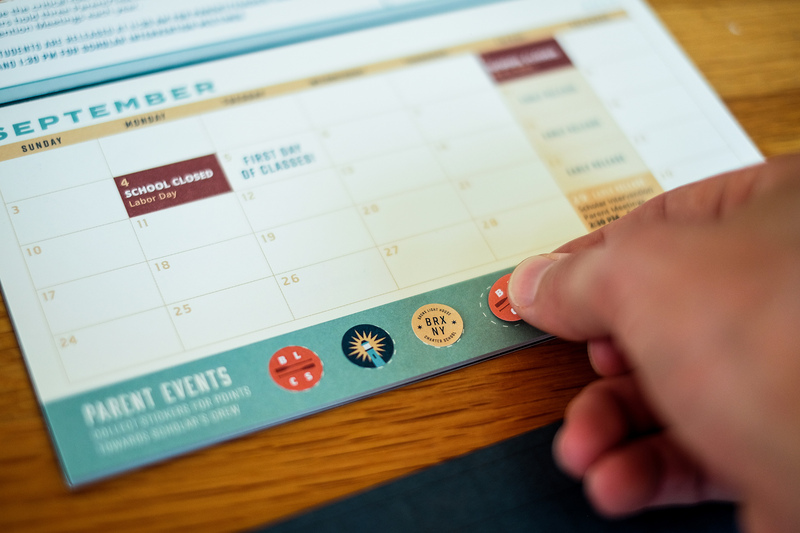 Every school year they need to give their scholars' parents a lot of information, but with all that paperwork much of the valuable information was getting lost in the shuffle leading to low parent engagement and unnecessary confusion. 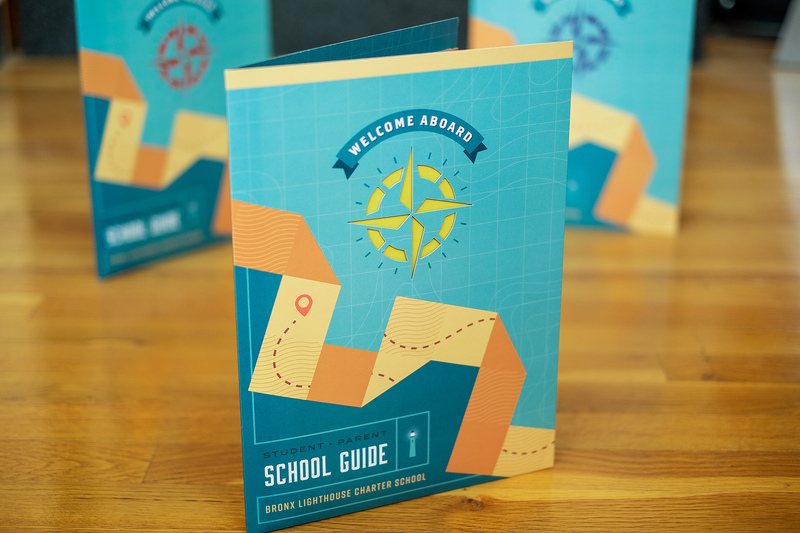 Working with them and the innovative ways they look at education, we concepted and designed a memorable School Guide to get everybody on board and up to speed. 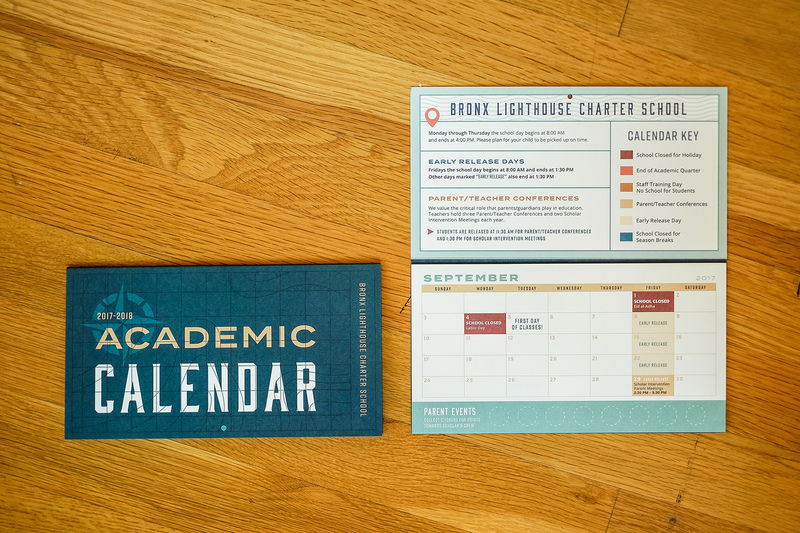 Every new scholar at Bronx Lighthouse Charter School is sorted into one of four "crews" based on the school's academic tenants. 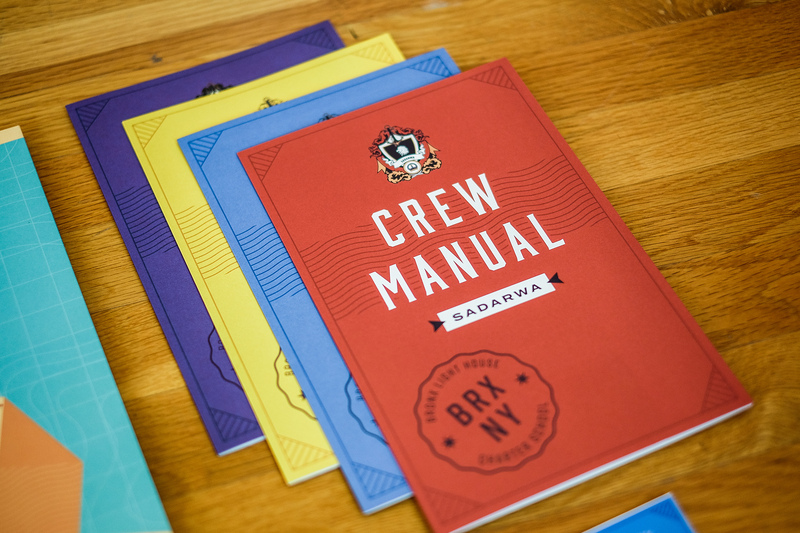 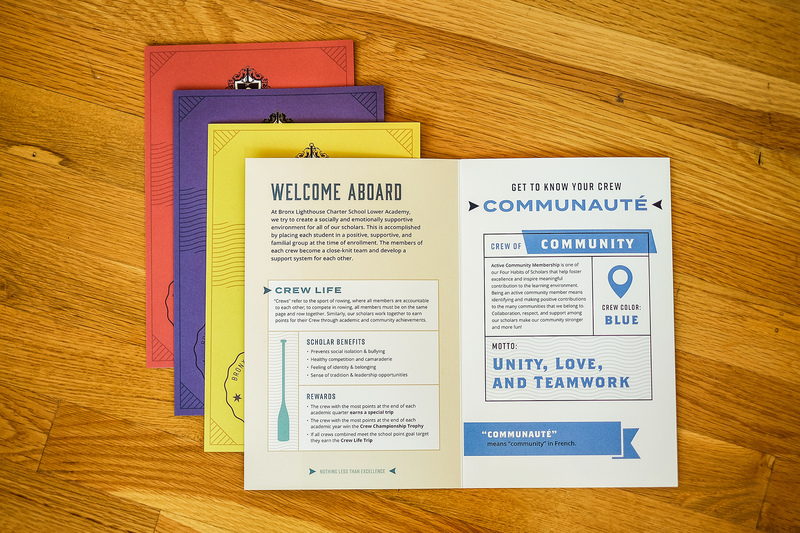 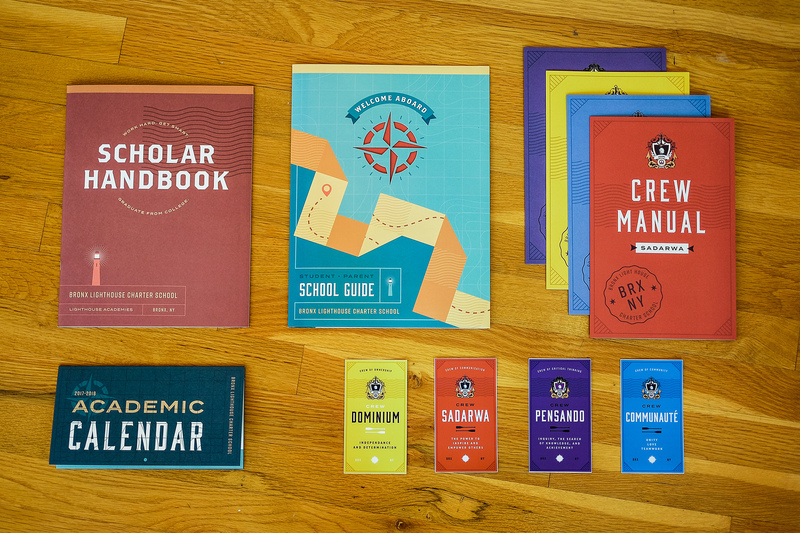 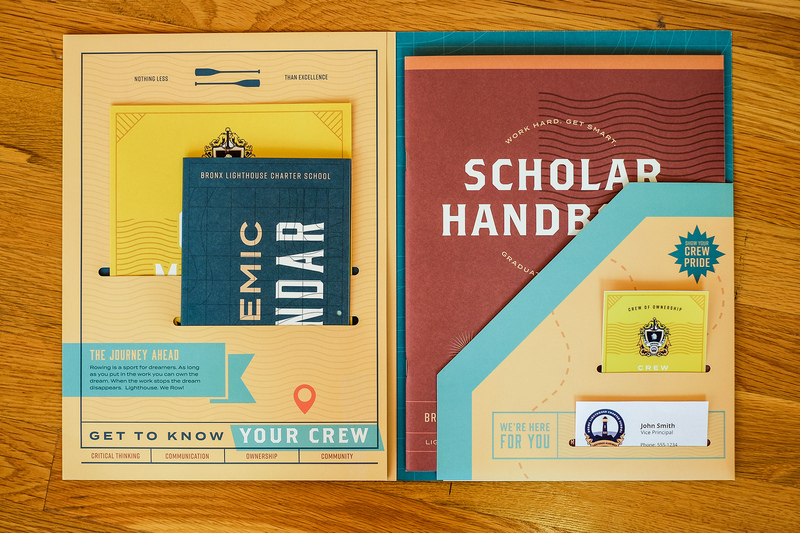 Each School Guide comes complete with a manual introducing each crew, the scholar handbook, a special crew sticker, and an innovative calendar that doubles as a parent engagement tool. 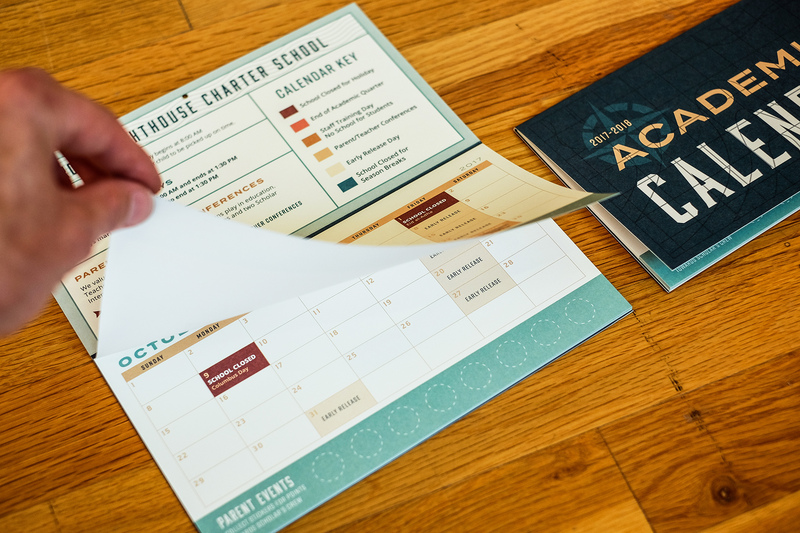 With each school event they attend, parents can help their scholar's crew win a year-end contest.